Natalka C. “Natalie” Semchuk 98, a longtime resident of Medway, died peacefully, Monday December 10, 2018 at the Mary Ann Morse Nursing and Rehabilitation Center in Natick, following an illness. A complete obituary will follow. 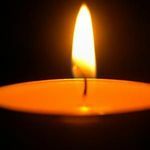 Patricia Anne Tracy, age 76, of Melrose, passed away on December 3, 2018. She was the devoted mother of the late Keith A. Armstrong. She was the beloved friend and companion for 30 years of the late Henry “Hank” Kupczewski. William J.Blake, Sr., 92, of Medford and West Harwich, passed away peacefully on December 8th surrounded by his large and loving family. Son of the late William J. Blake and Marie A. (Kiley). Stepson of the late Ralph A. Ignico. Worcester – Firefighter Christopher J. Roy, 36, a Worcester Firefighter assigned to Webster Square Station Ladder 4, died on Sunday, December 9th from injures that he sustained while fighting a fire in the early morning hours at 7 Lowell Street. BUCKLEY, MSgt. (Ret.) John Stewart John Stewart Buckley departed this life on December 1, 2018 at his home in Wakefield, MA after a short illness….